Ravens and geese the bully boys of the lake keeping an eye on anyone who ventures near. Do you also have swans in the lake? They certainly can be fearsome. The geese are handsome, the raven - not so much! They do look very smart and well dressed. i love your wildfowl shots! 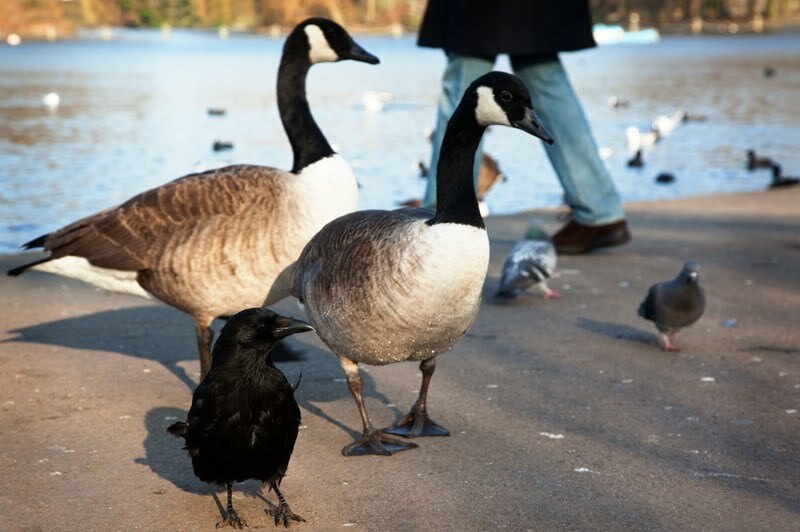 Those Canadian Geese look quite well fed - must be enjoying London!